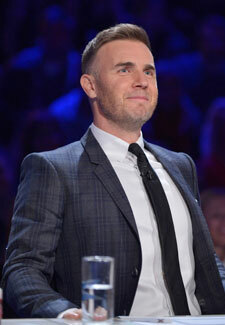 What next for Gary Barlow? We asked you on our Facebook page who your favourite X Factor judge is this year, and the resounding winner was Mr Gary Barlow. But, sadly, it looks like Gary could leave the show after the current series. It was reported last week that the dramatic deadlock which saw him lose his act Carolynne to keep Rylan in the competition made Gary consider quitting the show as it had become a soap opera, but he has since denied these claims. However, he’s made no secret of the strain the show puts on him and, after losing a second act last weekend, he could be rethinking his decision. After announcing a solo tour for next year and rumours of another Take That album to follow, we simply don’t see where Gary will get the time to do it! The X Factor is on ITV1 tonight at 8:20pm.